What do you need with you for a fun day at Disney World? Pack these essentials in your day bag and you'll be good to go. While your MagicBand is your ticket into the parks, it is always a good idea to carry personal ID. All adult (ages 10+) guests use the biometric (fingerprint) scanners before entering a park. Should the biometric scan fail, you will be asked for a photo ID. Your park personal assistant is in the palm of your hand. With the My Disney Experience app, you can schedule FastPass+ and dining experiences, check wait times at rides, consult park maps, and much more. Sunburn is no fun. Apply often during a day at the parks, and especially if you've been on one of the rides that get you wet. Yes, there are many delicious snacks available in the Disney parks, and of course, you should sample a Mickey Bar or a Dole Whip on your trip. But it all adds up. Bring a few dry, portable, unmeltable snacks with you, too, so you can keep the troops satisfied between meals without blowing through your budget. The easiest way to stay hydrated in the parks is to bring your own water bottles, which you can refill at any of the water fountains found all over the parks. We especially love the Hydaway Collapsible Bottle for travel because it flattens down to next to nothing when empty. A day of snapping photos and using the My Disney Experience app is going to drain your battery. A portable charger such as the wafer-thin myCharge RazorPlus is inexpensive, doesn't take up much space, and recharges a phone lickety-split. Your child's most precious (and free) souvenir just might be an autograph from Mickey, Elsa, or another favorite Disney character. Disney gift shops sell autograph books, but the smart move is to pick up an inexpensive one before you go. Check the My Disney Experience app to find characters who can fill up the pages. It can get mighty hot at Disney World, but there are also many fun ways to cool off—and many them will make you wet. If you've got small kids, consider dressing them in bathing suits under clothes. It may not always easy to find a place to wash your hands before you eat, but a travel-sized pack of Wet Ones means you can clean up in a flash. When it's boiling hot out and you're waiting in line for a parade or a ride, you'll be glad to have these little battery-operated gizmos that spritz you with water. Keep them in your hotel's mini fridge overnight and you'll have cool water for most of the morning. If you've got a baby or a toddler, blowing bubbles while you wait in line can make the time pass more quickly (and you'll delight the little kids around you). Buy a multi-pack of small bottles (these are 2 oz.) and toss them out as you use them. At most Disney resorts and at many attractions within the theme parks, you'll see machines, where you can create cute souvenir pressed pennies. Each machine delivers a different design, and some offer a choice of designs. You'll need two quarters and a penny (51 cents), to make each souvenir penny, so they are cheap and fun souvenirs to collect. Tip: An M&Ms Minis container tube is just the right size for quarters. If you and your kids collect Disney pins, don't forget to bring them to the parks on a lanyard or small case. You can trade pins with Disney cast members and other guests all over the parks, including in the shops and restaurants. To get started, buy the cheapest multi-pin set you can find in any Disney gift shop and then start trading away. Summer is the hottest season at Disney World, and also the wettest. If you're visiting between June and August, you're almost guaranteed to experience a downpour or two. While a summer shower is typically brief, it can put a crimp in your plans if you mind getting drenched. You can buy them in the parks, but you'll pay more than you have to. This isn't essential, but if you wear a Fitbit or another fitness tracker, you're in for some bonanza stats. 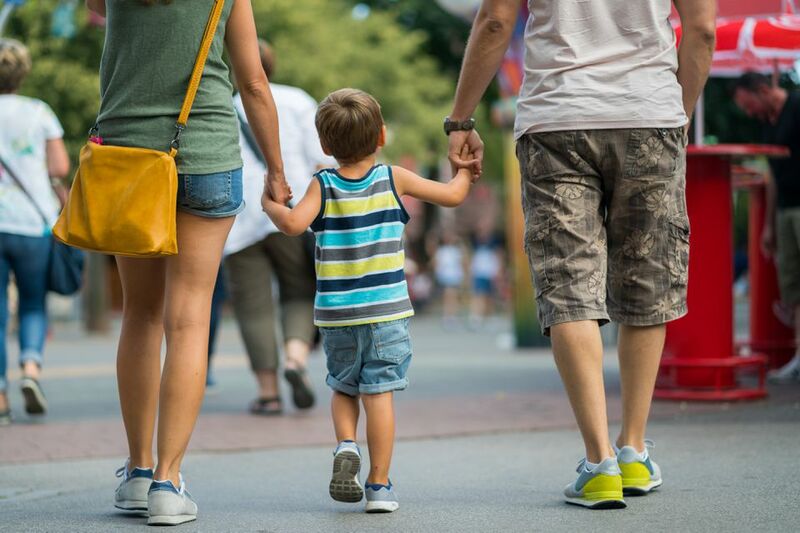 Count on logging in at least 20,000 steps a day while you're visiting the parks. A couple of empty gallon-size Ziploc bags always come in handy. A sealed bag will keep your brood's phones bone dry on a wet ride. It can keep a half-eaten snack clean until you are ready to finish it. It can also hold any spillable, leakable items, such as sunscreen, a bubbles bottle, or Wet Ones. The possibilities are endless. Even at the most magical place on Earth, you've gotta have rules. Learn the things you can't bring into Disney World due to safety or convenience reasons, including selfie sticks and masks.